Is “Blue” Light Good, Bad or In-Between? For some time now, we have been seeing an increasing emergence of advertisements, articles and reports warning us of the potential risks of blue light. 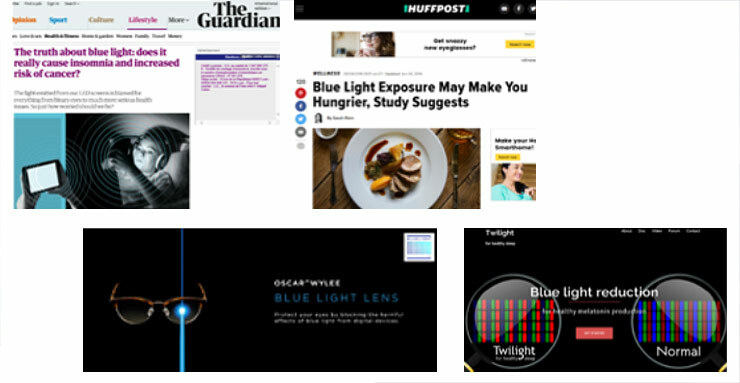 If we are to believe these sources, blue light is apparently harmful to our eyes, our sleep and indeed our appetite! And if you wear glasses and frequently work on a computer screen like I do, I imagine your ophthalmologist or optician has already prescribed you “blue-light-blocking” lenses! But did you know that the sunlight we are exposed to every day itself contains a lot of blue light? And yet this does not seem to have compromised our existence in any way, nor forced us to spend our days and nights in caves. So, what are we supposed to believe? Is blue light really that dangerous? If so, in what conditions? And what blue light are we talking about exactly? Let’s try and take stock of the scientific findings available to date on this matter. 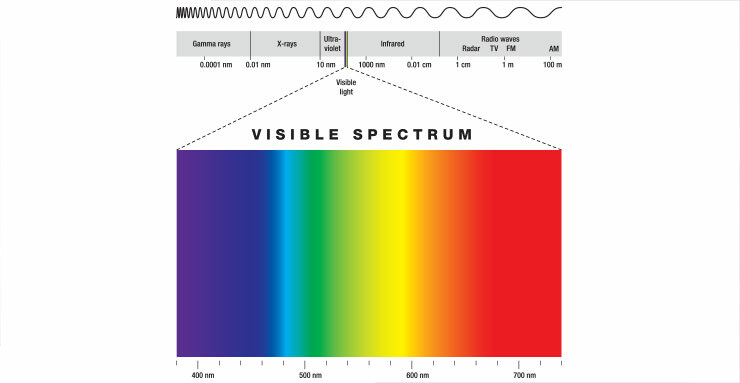 UV and blue-violet light (380 – 495 nm) are the wavelengths with the highest energy, and are thus potentially the most harmful to the human eye. While the harmful effects of UVs, particularly on the skin and eyes (cataracts), have long been known and identified, more recent research combining human observations and experimental studies of cellular cultures and different animal species has shown that, over time, exposure to blue-violet light aggravates certain eye diseases, such as AMD (age-related macular degeneration, which causes permanent blindness)1,2. 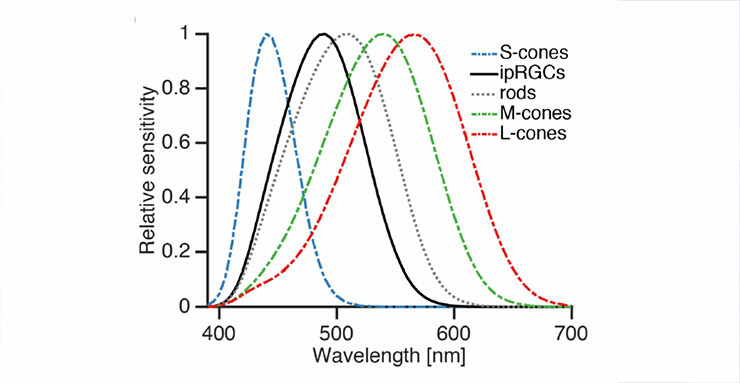 Researchers from the French National Institute of Health and Medical Research (INSERM) are said to have identified the most critical wavelengths, following experiments conducted on pig retinas: 415 nm and 455 nm, peaking at 430 nm3. Certain sections of the population are thought to be more sensitive than others. These include children, people with aphakia (no lens in the eye) and pseudoaphakia (artificial lens), and people sensitive to light, such as those suffering from AMD. The risk depends on the cumulative dose (and thus the intensity and duration of exposure) of blue light to which an individual has been exposed. It is believed repeated moderate exposure over long periods of time is enough to pose a risk of retinal damage1. That being said, the toxicity of blue light has never been thoroughly proven in epidemiological studies on humans, due to the difficulty associated with assessing cumulative exposure and personal predispositions1,4. There is currently still a degree of uncertainty, particularly regarding the intensity and cumulative duration of blue-light exposure deemed responsible for the harmful effects. 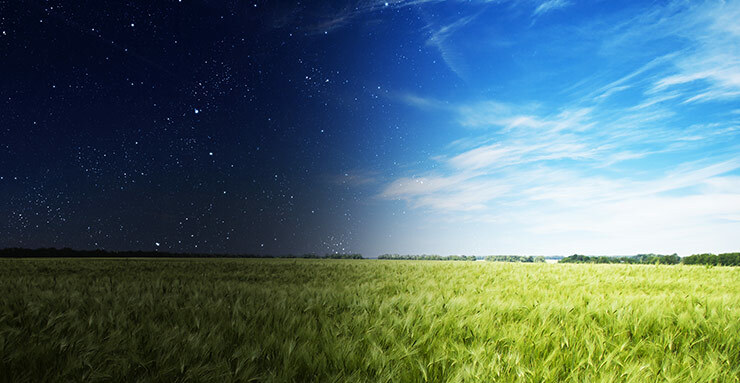 As already mentioned in a previous blog, recent research has also elucidated the key role played by light, particularly blue light, in regulating our circadian rhythms and other human biological functions. During the day, it boosts sleep quality, alertness, memory, mood etc. But exposure to blue light at night causes our body clock to shift, resulting in imbalances and problems ranging from insomnia to more serious consequences like diabetes, obesity or cancer5. It is nevertheless also important to remember that research in this field is still far from complete, and that future studies still need to be conducted, namely in terms of the exact quantitative values triggering these effects. 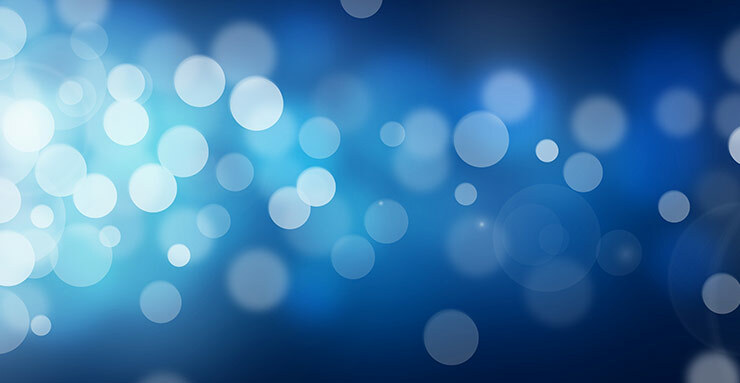 The issue of exposure to blue light has primarily surfaced following the emergence of LEDs (electroluminescent diodes) on the lighting and electronics market. Known for their very long lifespan, as well as their very low energy consumption, they are increasingly being used in lighting equipment, including those found in Smartphone, tablet and computer screens. Unlike other known sources, sunlight contains a high quantity of all colours on the visible spectrum. 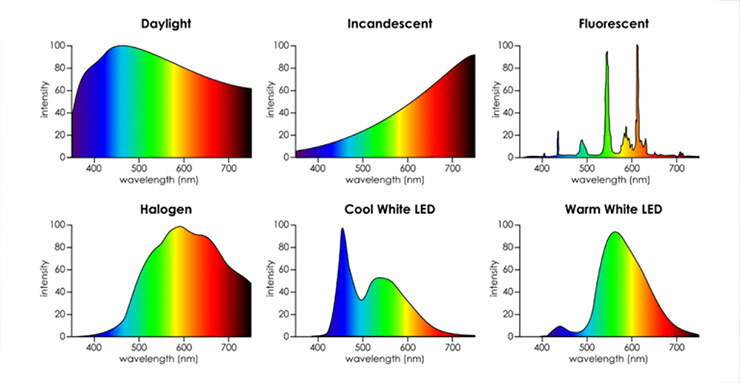 It emits much higher intensity rays than other sources of artificial lighting, and is also the richest source of blue light, as shown in the previous graph. So maximum exposure during the day is the most effective means of regulating our body clock and activating our non-visual functions. But on the other hand, doesn’t this expose our eyes to more risks of degeneration? Once again, it’s not so much about whether or not we’re exposed to blue light, but rather the total amount to which we’re exposed during the course of our life. The first way we can limit risks is to avoid looking directly at the sun without any protection when we’re outside. This also applies when we’re inside and a very low sun comes directly into our field of vision. Blue light is said to have both harmful and beneficial effects on health, and these effects depend on the time, duration and intensity of a person’s exposure to it. It is also worth noting that the effects on humans differ depending on the type of blue light: Blue-violet light is responsible for the photochemical effects on the retina, while blue-turquoise light affects the body clock. With regards to the effects on the retina, the scientific studies conducted to date have been unable to reach any specific conclusions on the toxic nature of blue light in relation to the human eye. The amount of radiation is considered the most important factor in determining its impact. Individual variables such as age and genetic predispositions also need to be taken into account. Additional studies are required before any confirmations can be made regarding the effects of cumulative blue-light exposure over the medium and long term. That being said, some recommendations for blue-light exposure have already been established in standards for both the professional public and private individuals. One example of this in France is the standard NF EN 62471, which defines four hazard groups for sources such as LEDs following a maximum permitted duration of exposure by the eye10. New glasses lenses enabling part of the blue light to be filtered are now also available on the market. They are aimed not only at people suffering from AMD, but also at any healthy individual wanting to prevent any potential blue-light effects. Eloïse Sok is Concept Creator in the SageGlass Europe & Middle-East Team. She holds a Double-Degree in the Engineering field from Ecole Centrale (France) and Tsinghua University (China). Her main interests include sustainable architecture, daylighting and occupant’s comfort. Her motto: “Passion is our best strength!”. 5 R. G. Foster and K. Wulff, “The rhythm of rest and excess,”Nature Reviews Neuroscience, vol. 6, no. 5, pp. 407–414, 2005. 6 Berson DM, Dunn FA, Takao M. Phototransduction by Retinal Ganglion Cells That Set the Circadian Clock. Science 2002; 295: 1070–1073.